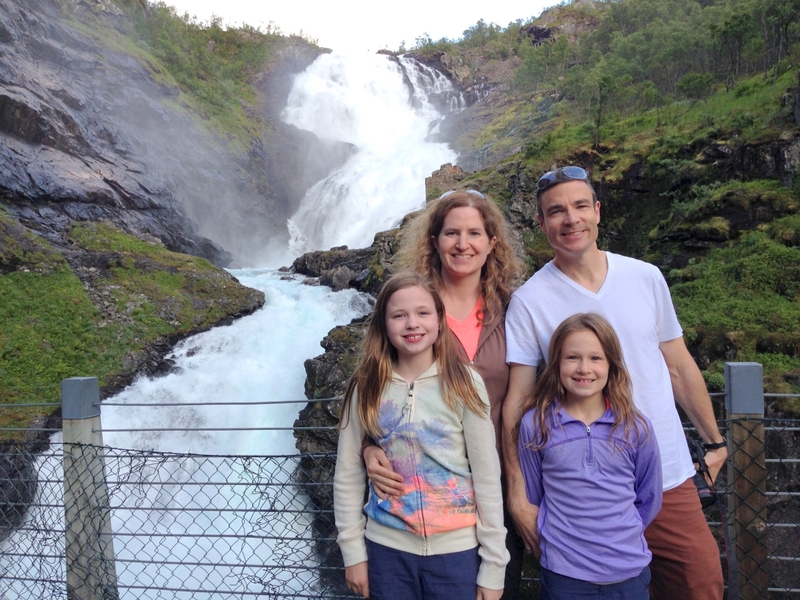 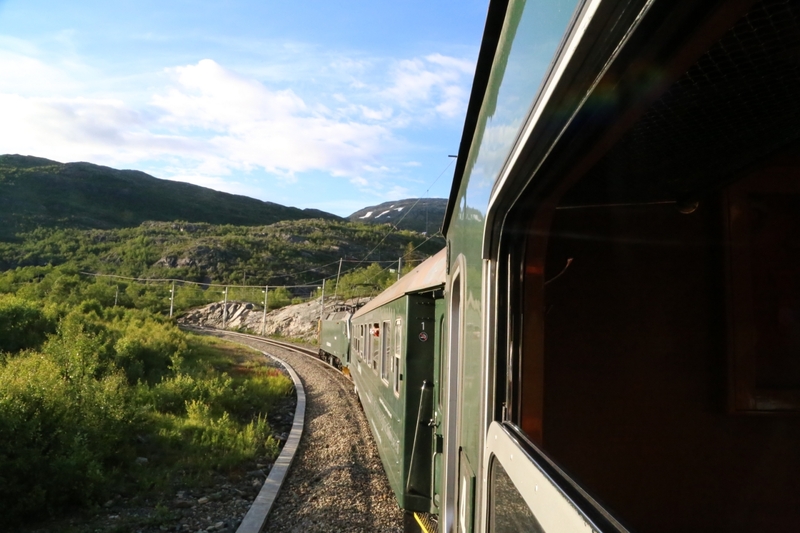 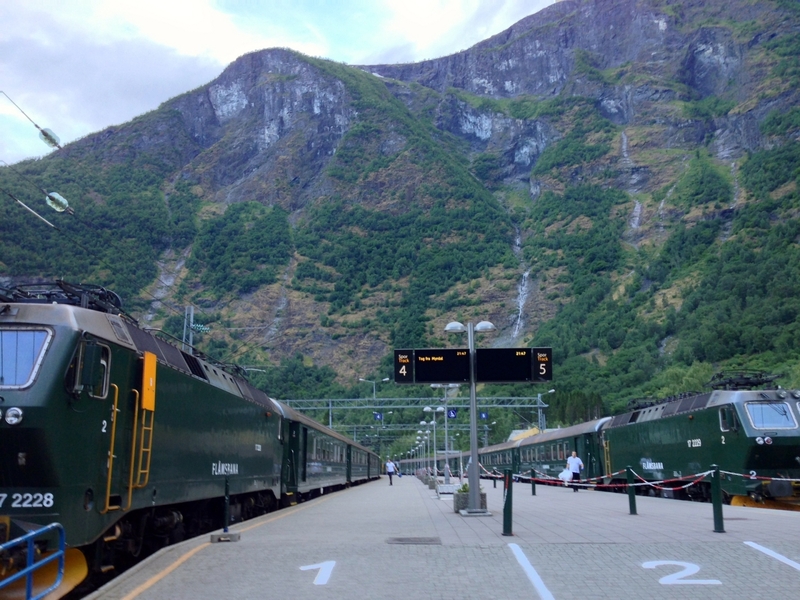 We made our way back to the Oslo train station, found our luggage locker, and headed to the train to Flåm, also known as the Bergen Railway to start our first leg of the Norway in a Nutshell tour. 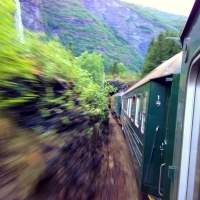 The Bergen Railway was built by Swedish rail workers between 1906 and 1908 to connect and unite the country. 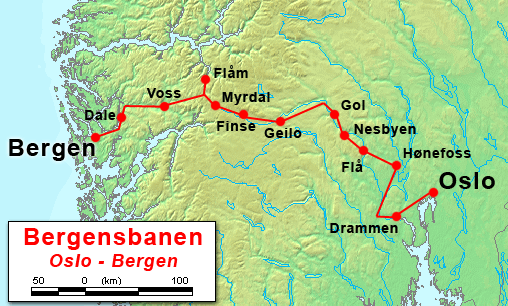 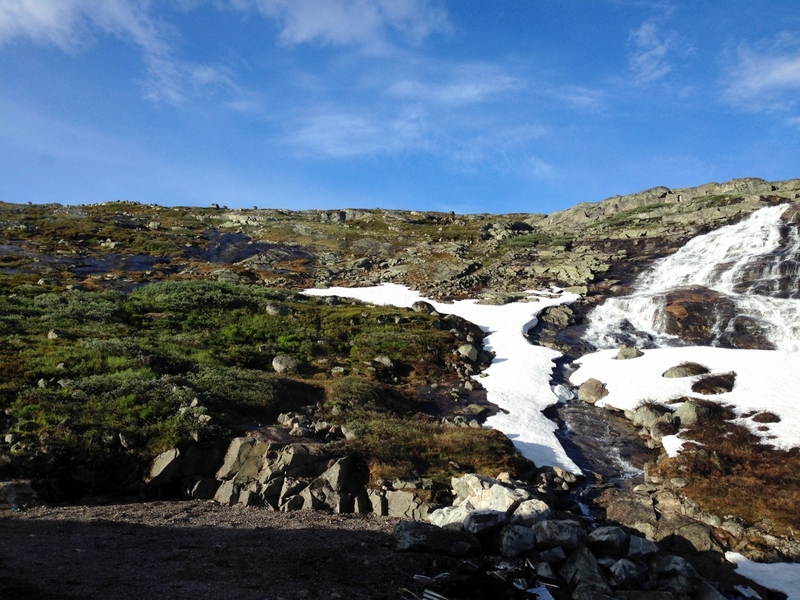 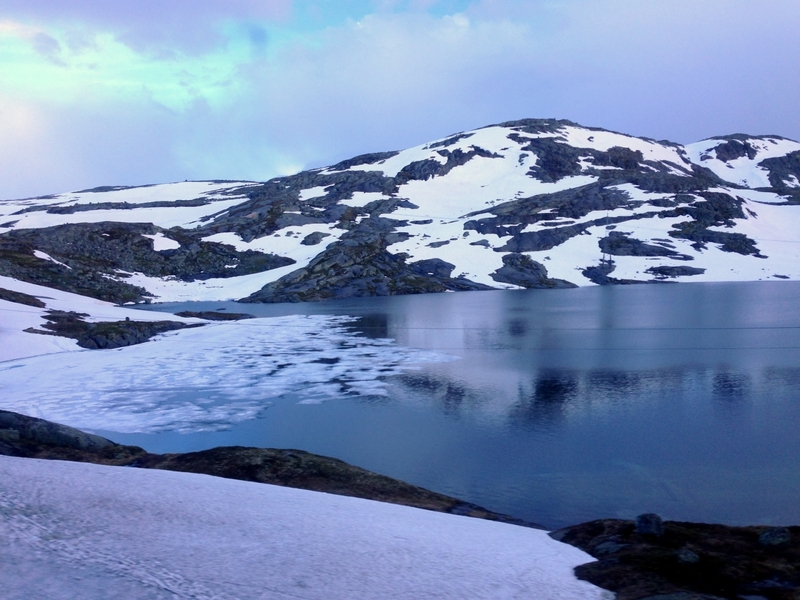 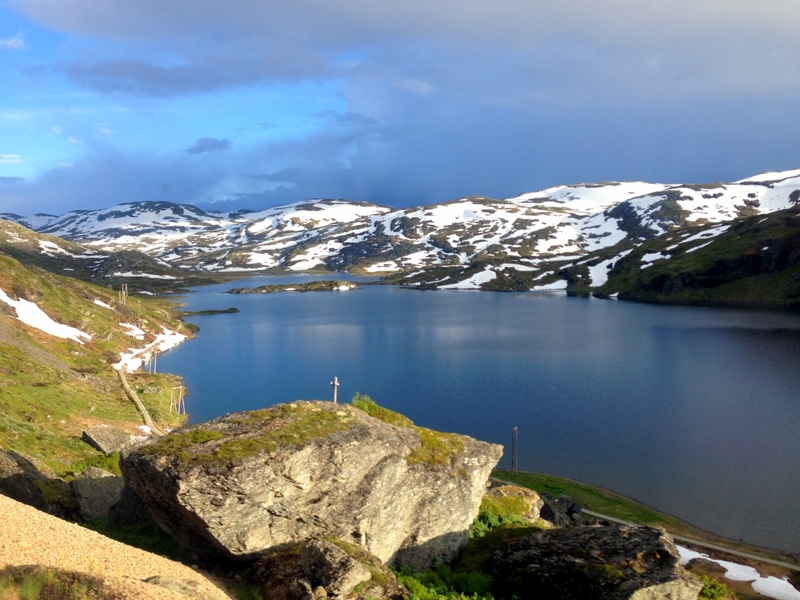 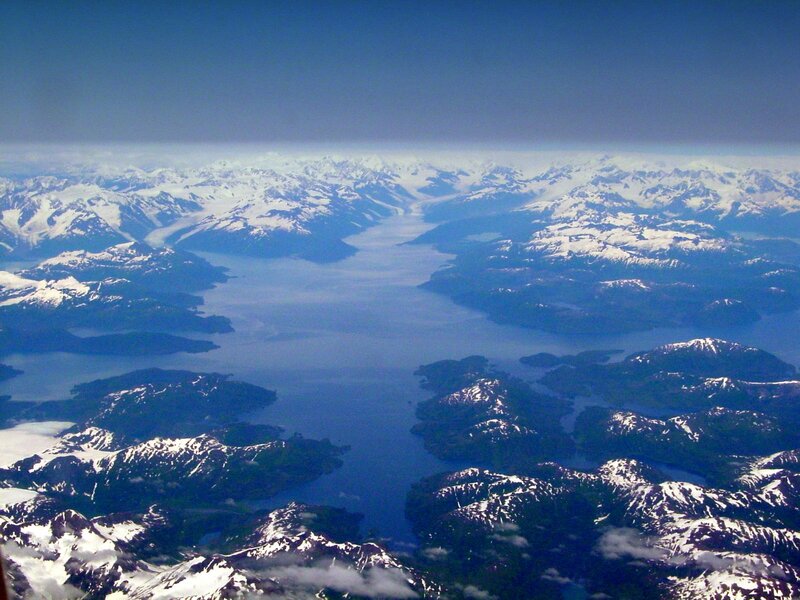 Previously, the only route was the Kings Road which took 11 days to get from Bergen (the original capital) to Oslo. 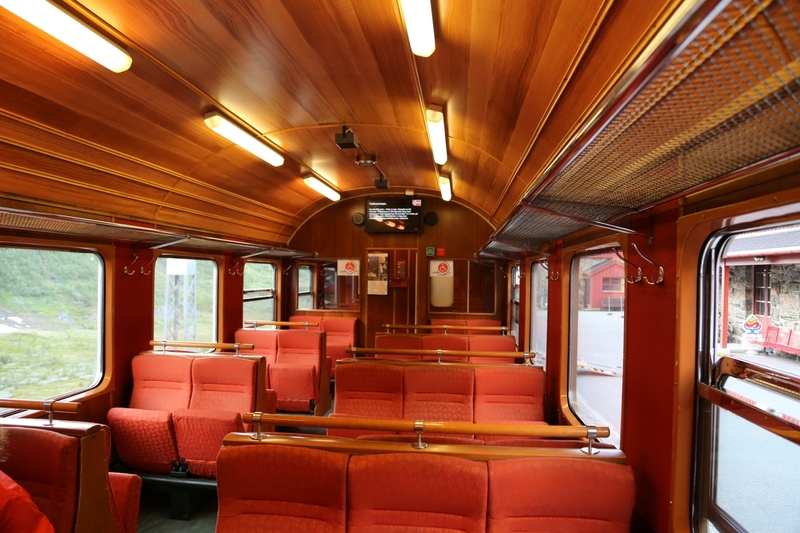 The ride was nice, quiet, and smooth. 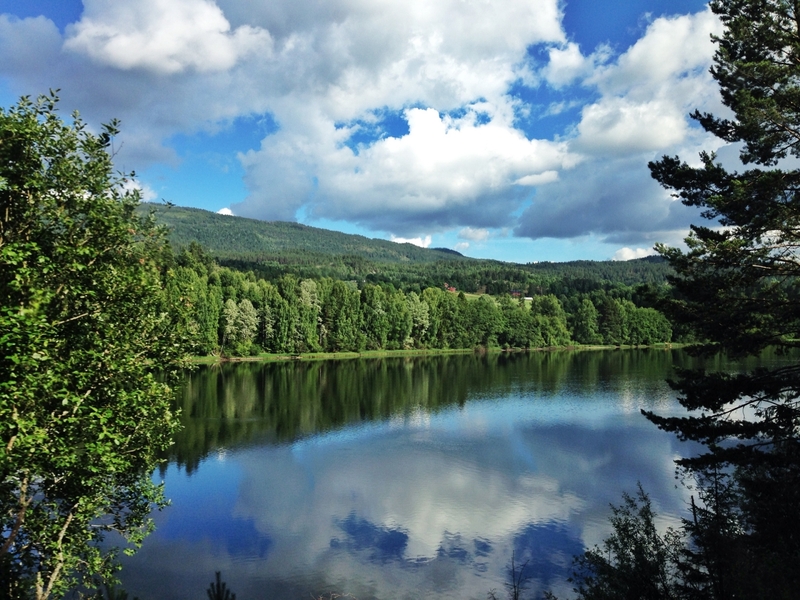 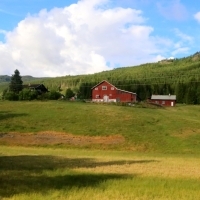 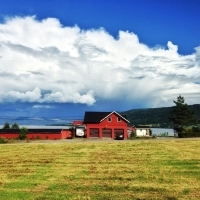 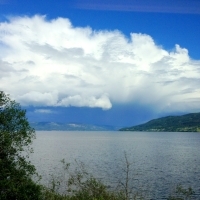 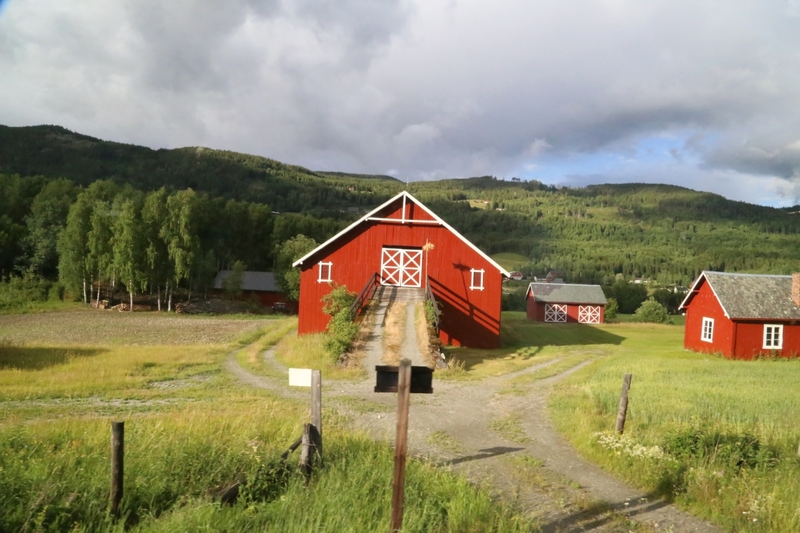 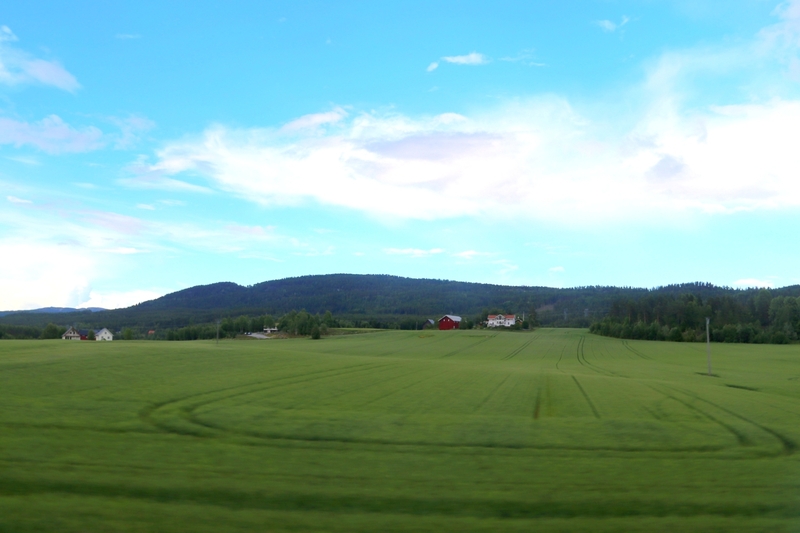 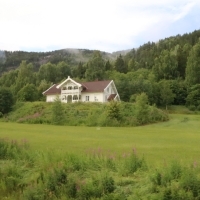 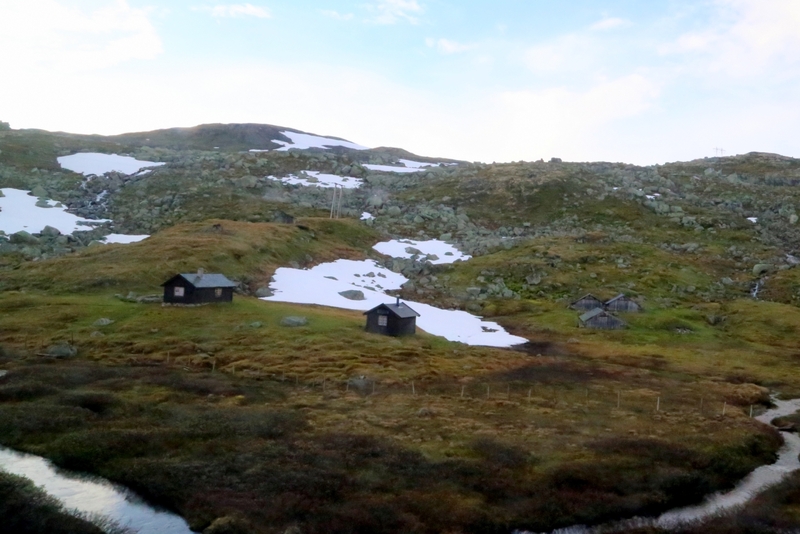 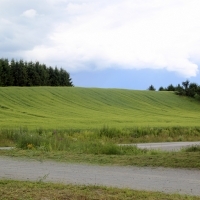 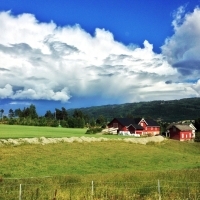 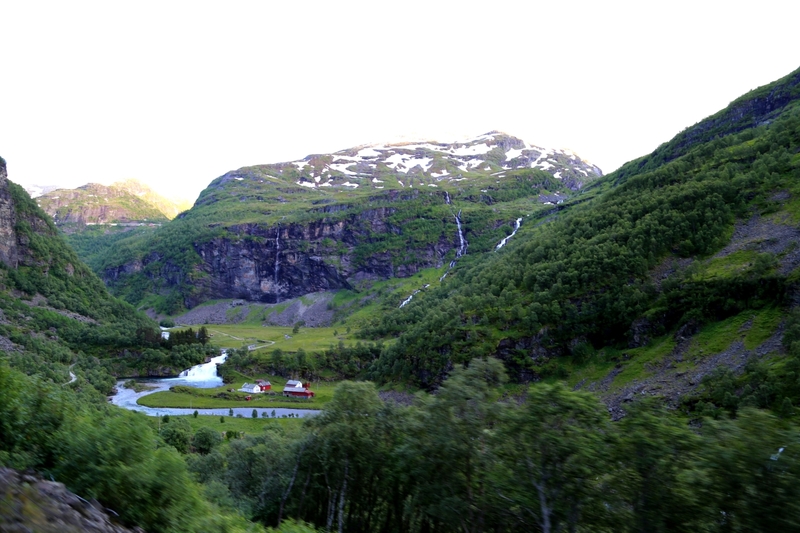 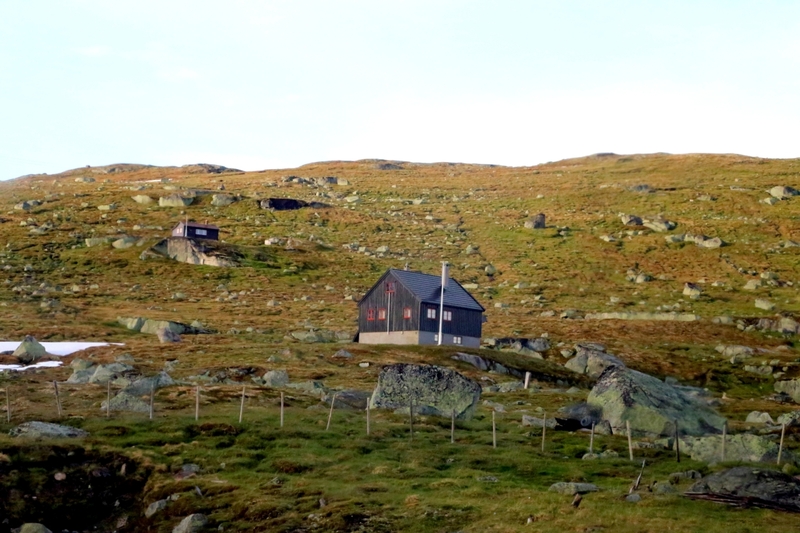 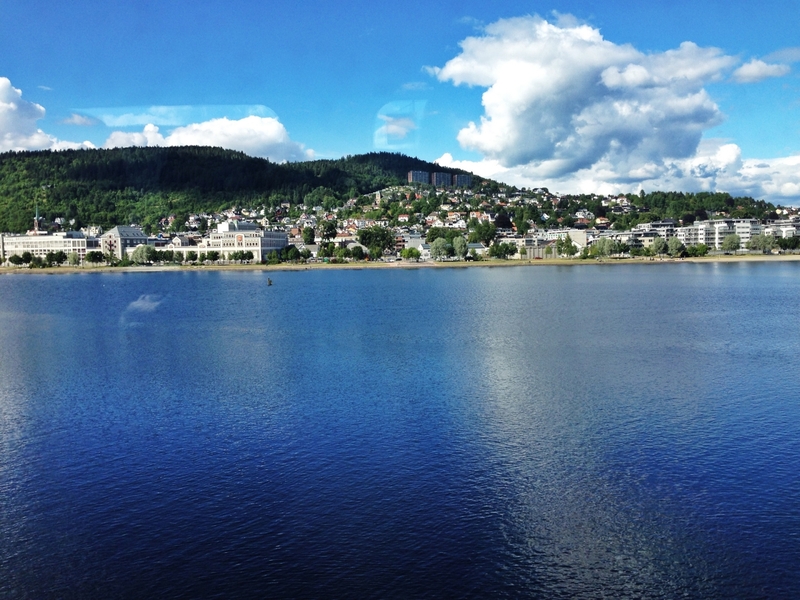 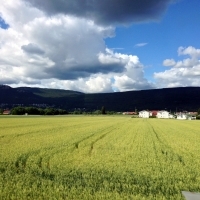 As the train pulled out of Oslo, the scenery quickly changed from urban city to rural country side. 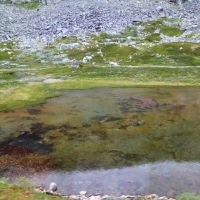 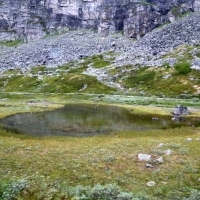 We passed a very large and picturesque lake and several smaller lakes. 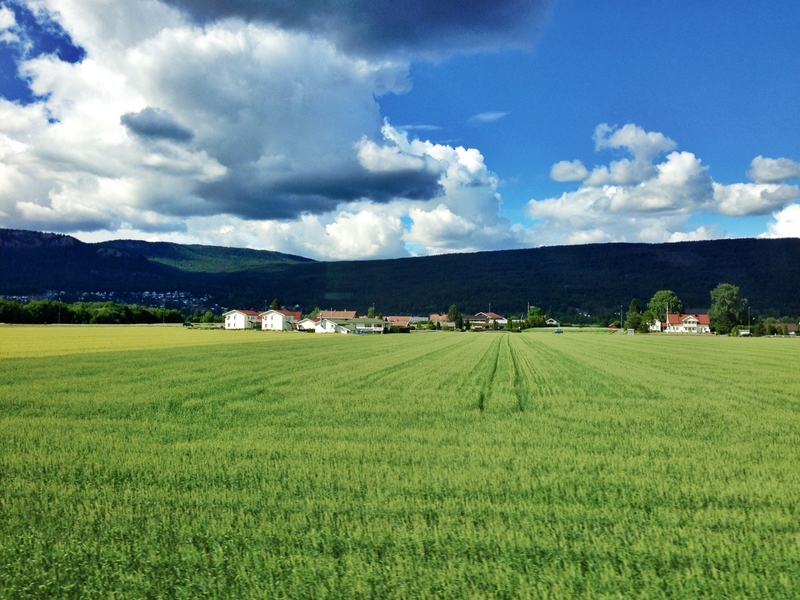 There were rolling hills and fields of crops. 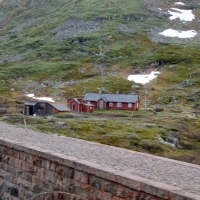 Cute houses and buildings dotted the side of the tracks. 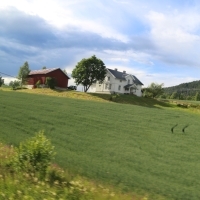 We passed through the towns of Gol, home to a Stave Church that was built in 1216 AD, and Ål, home to another stave church. 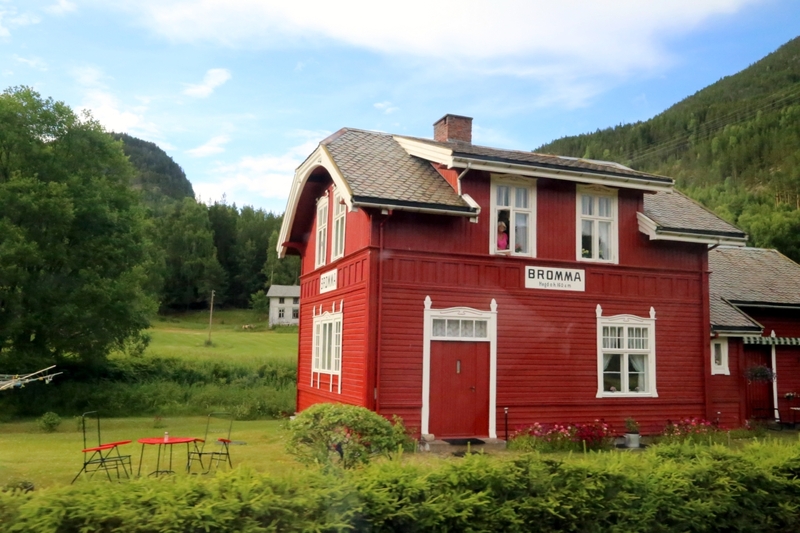 The theory behind the short village names such as Gol and Ål was that when you were very drunk, you would still be able to mutter or grunt the name of your hometown to get home. 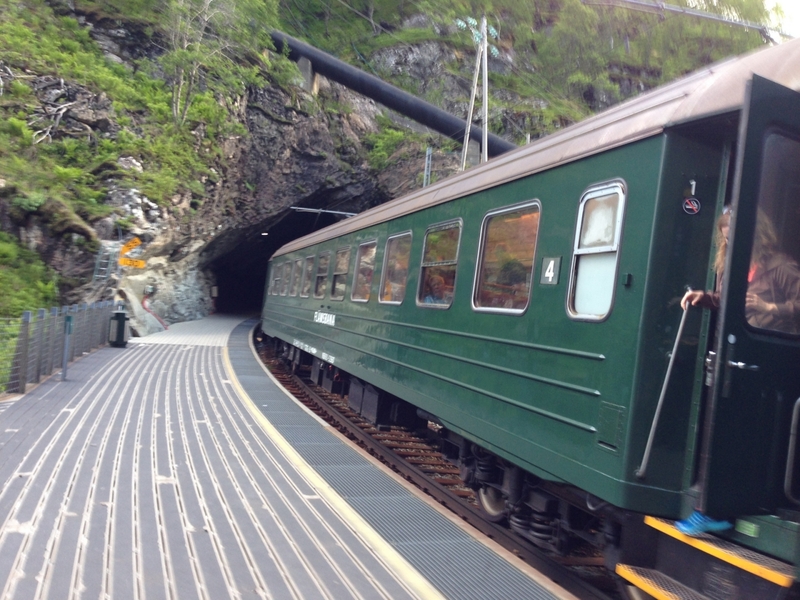 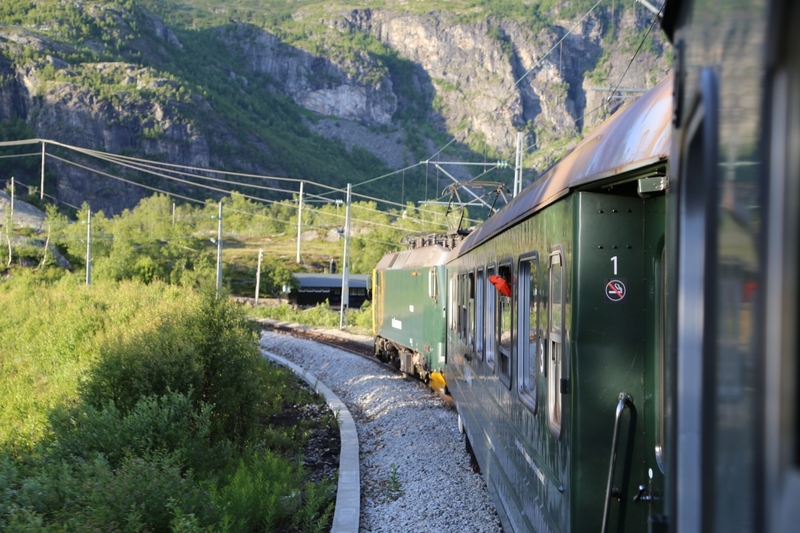 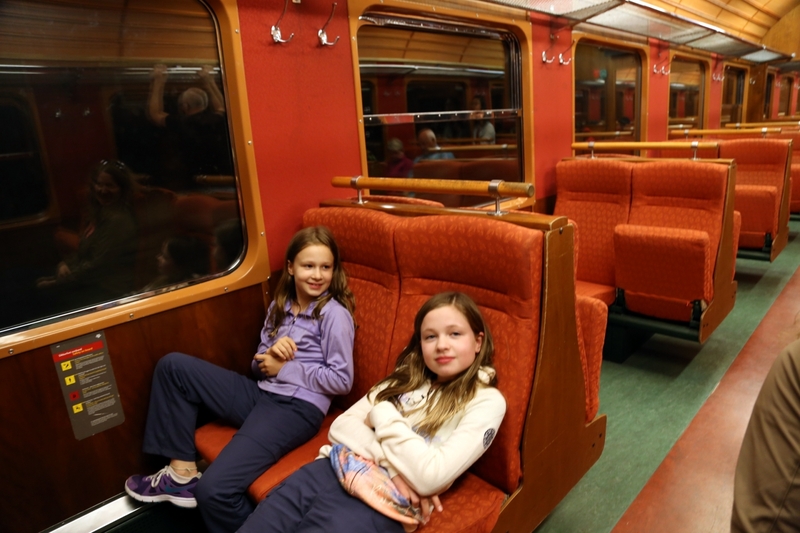 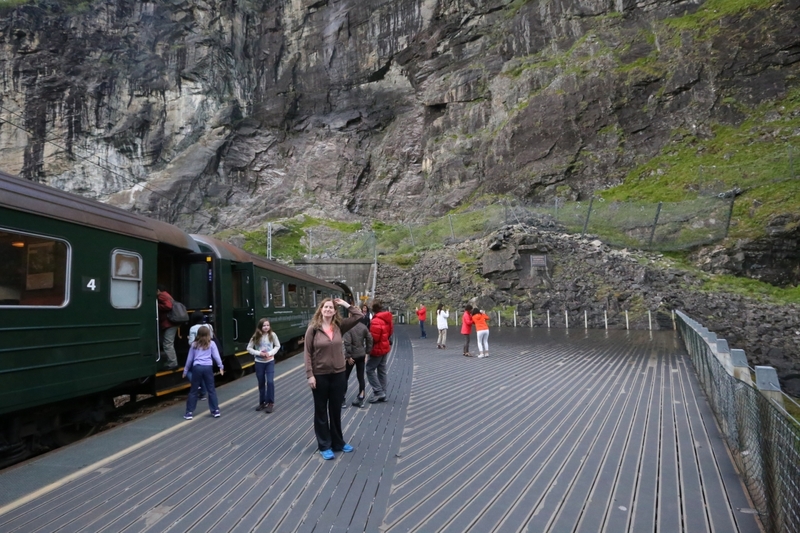 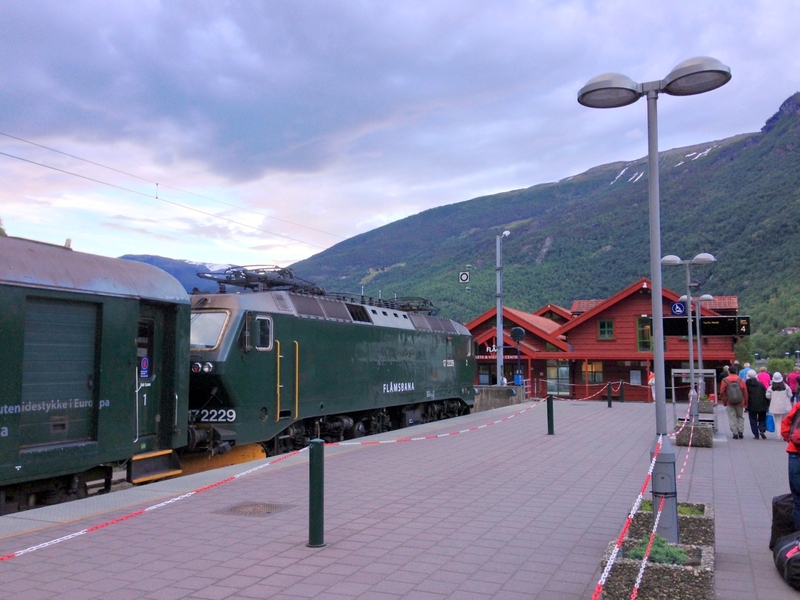 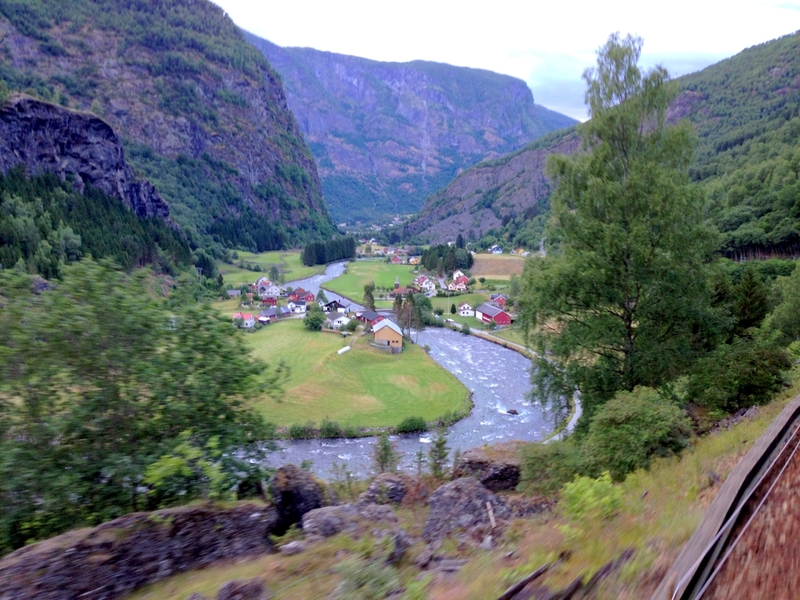 where we switched trains and boarded the Flåm Railway a.k.a. 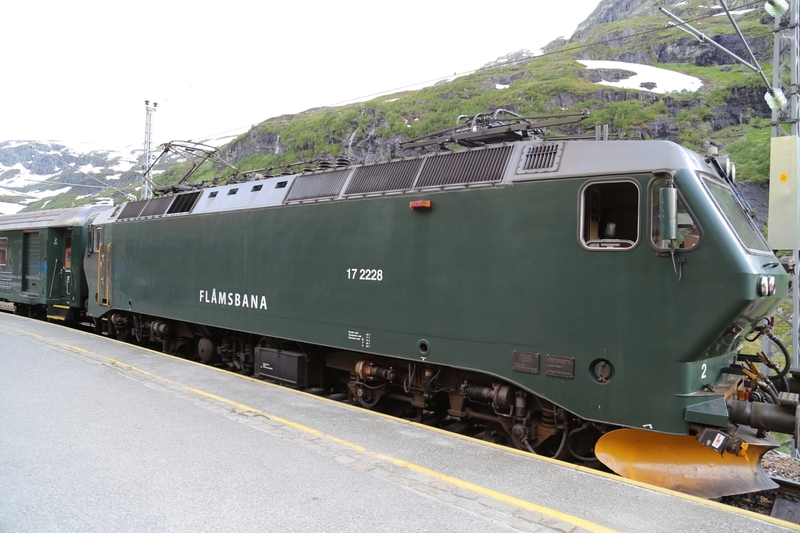 Flåmsbana. 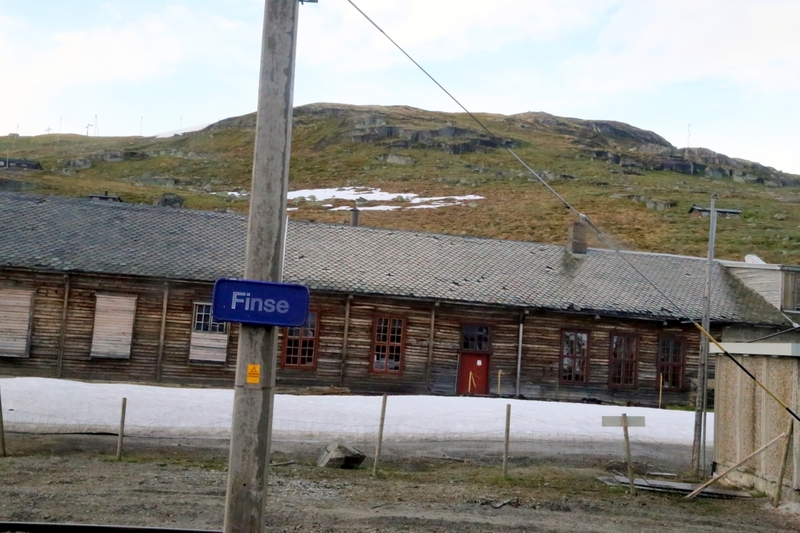 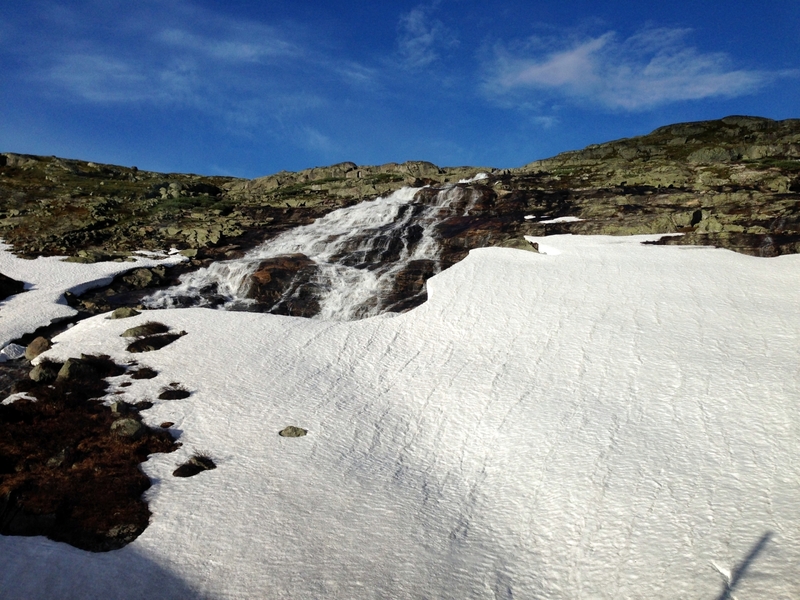 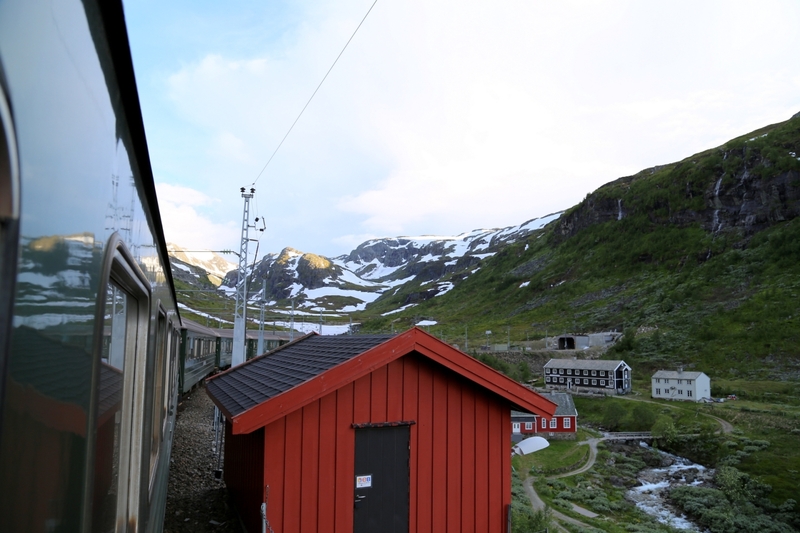 Leaving Myrdal, we entered a snow tunnel and wound our way in and out of them along the hillside. 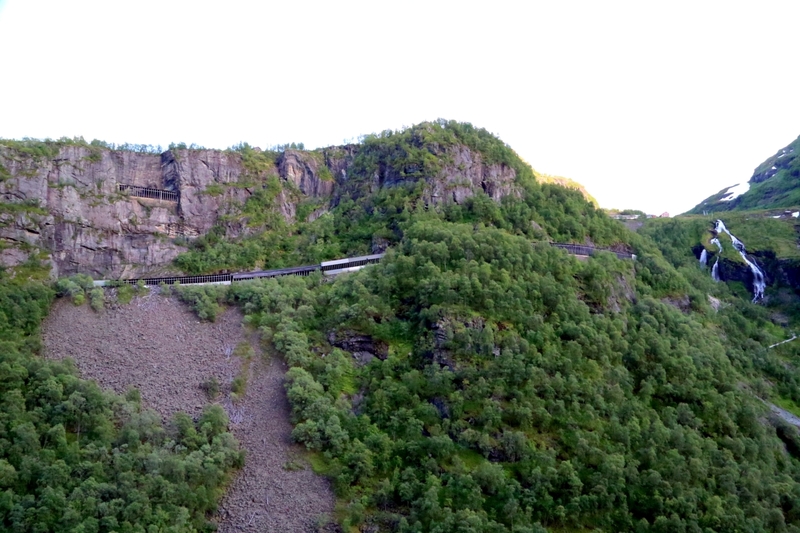 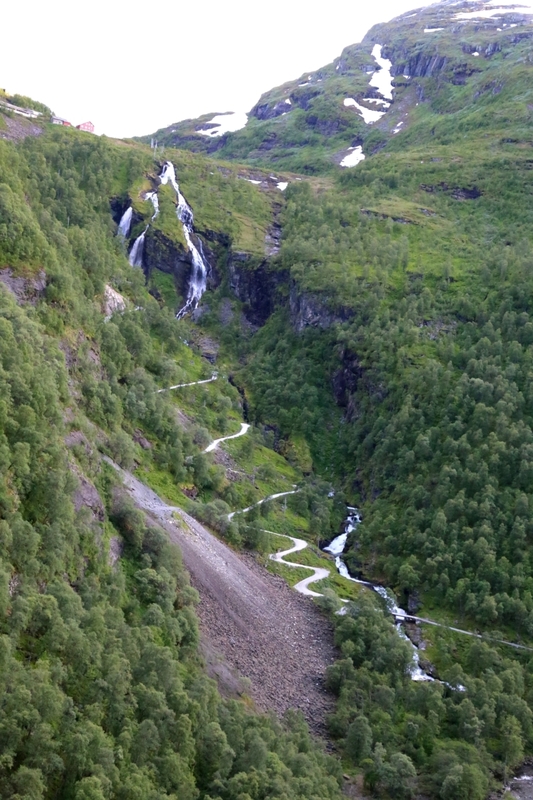 As we exited the last tunnel, we arrived at our first and only stop at the Kjosfossen waterfall which runs under the tracks. 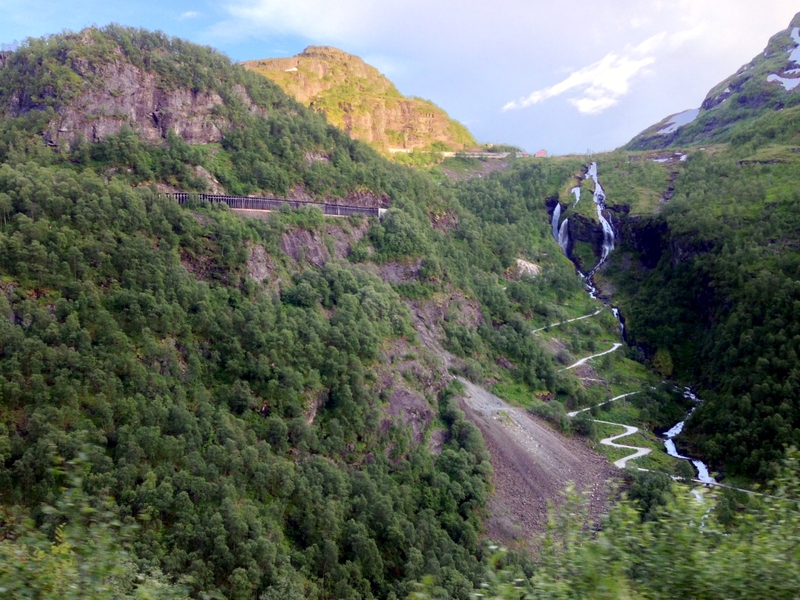 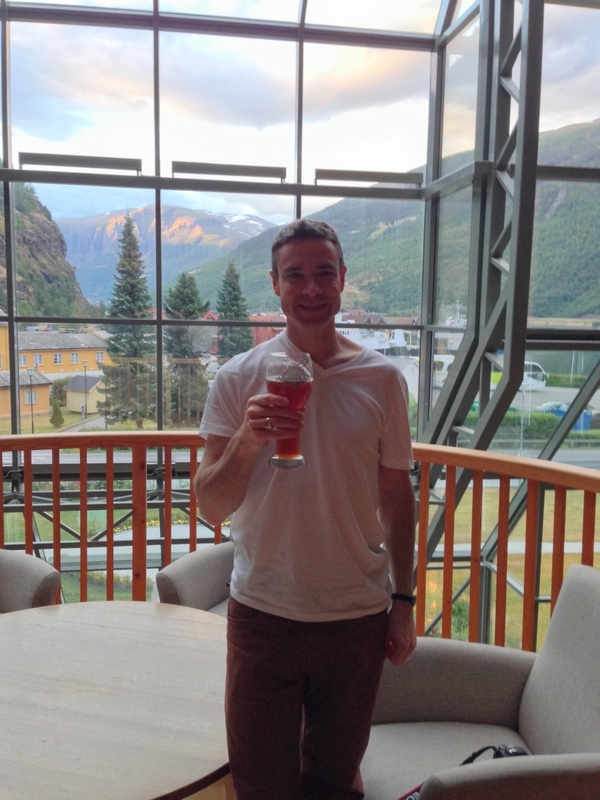 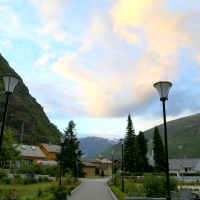 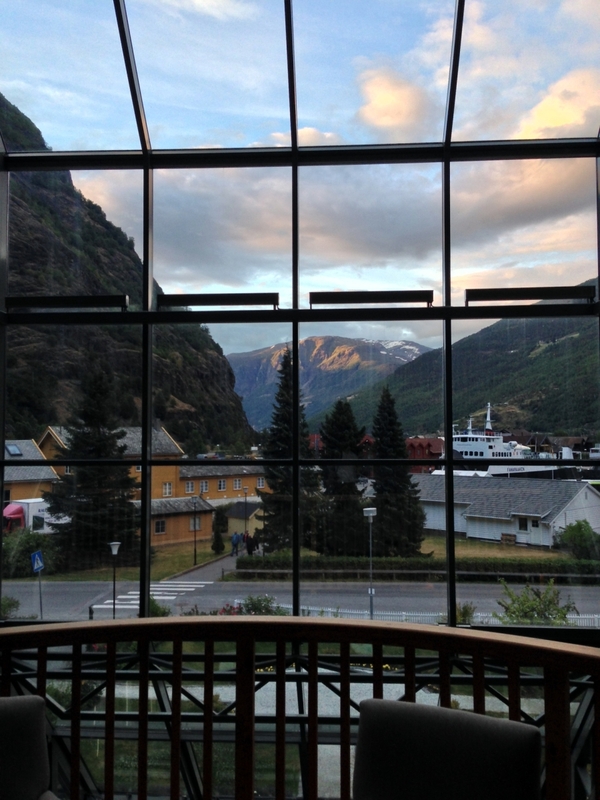 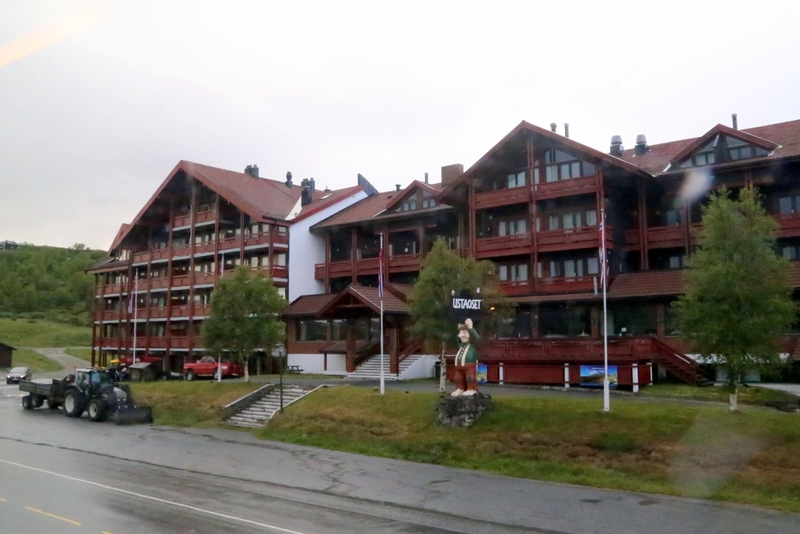 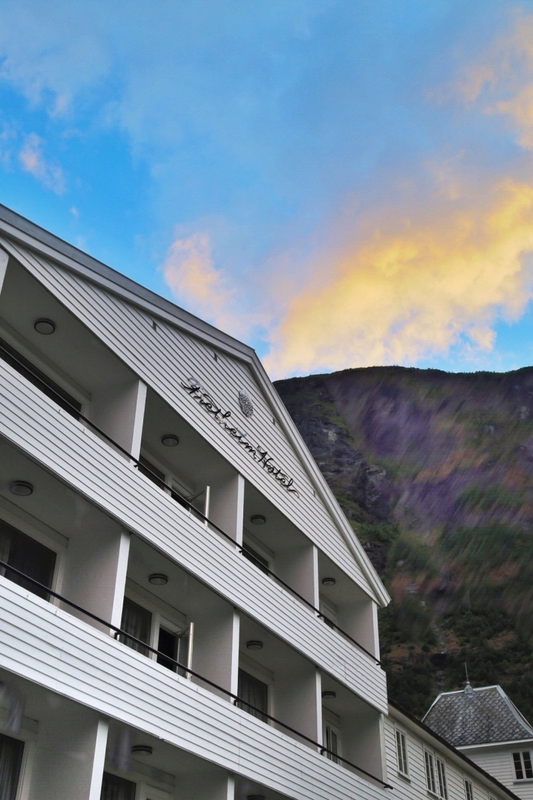 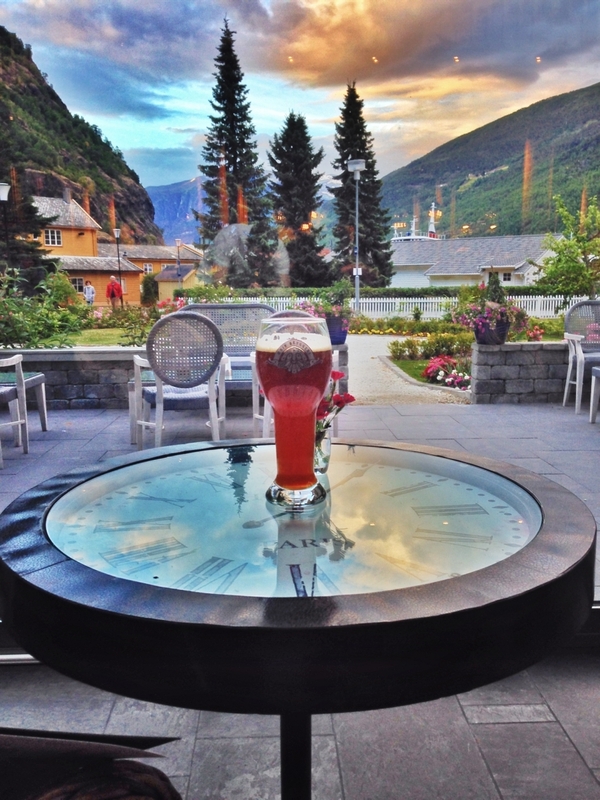 We pulled into the tiny town of Flåm about 8:30PM while it was still light out. 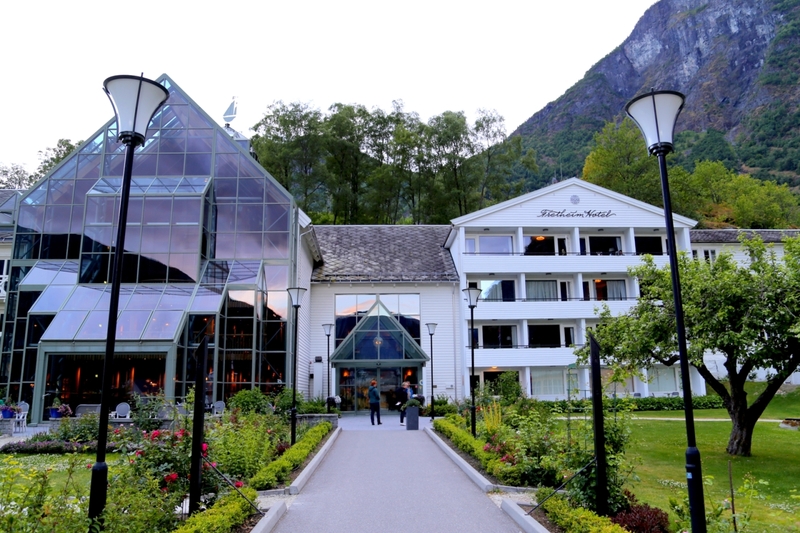 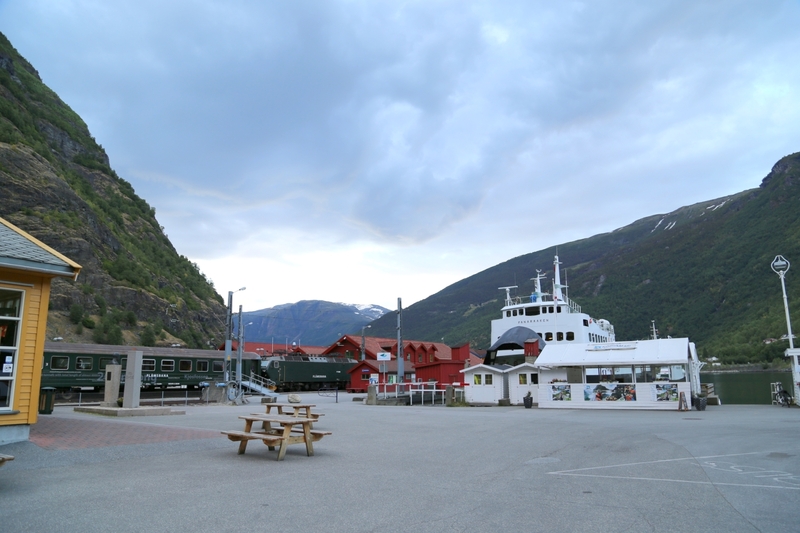 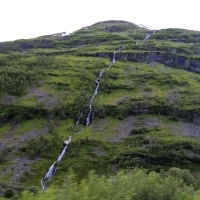 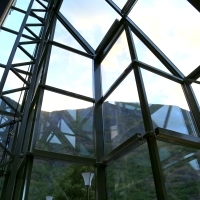 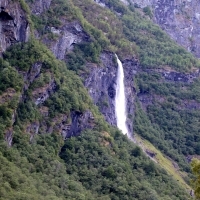 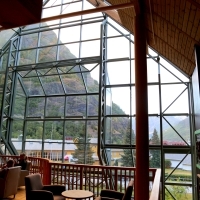 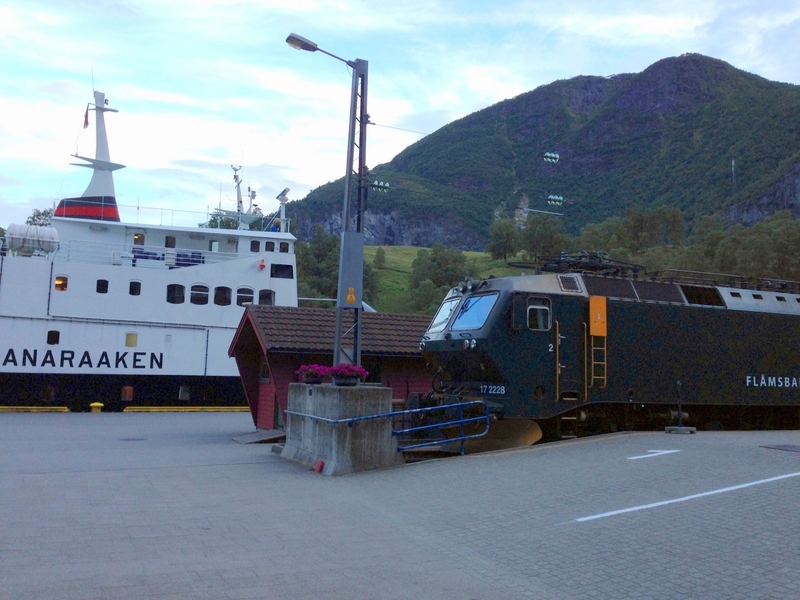 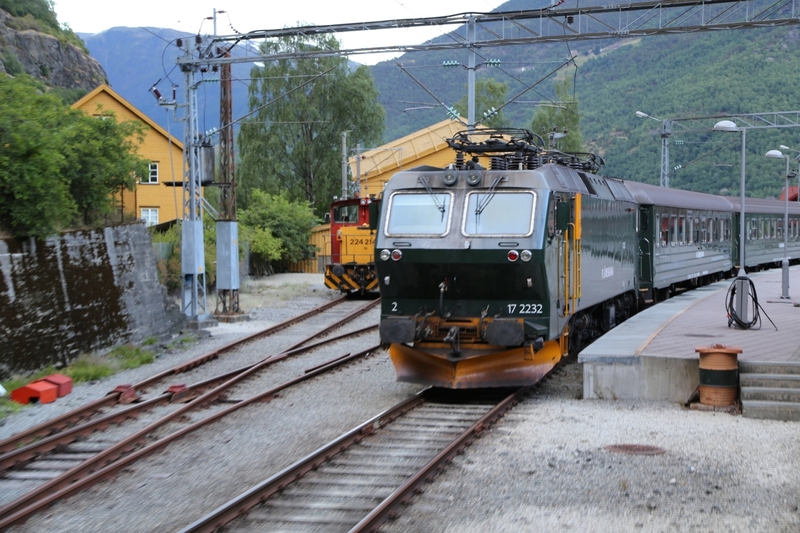 Flåm is a multi-modal port with rail, ship and roads originating/terminating from it. 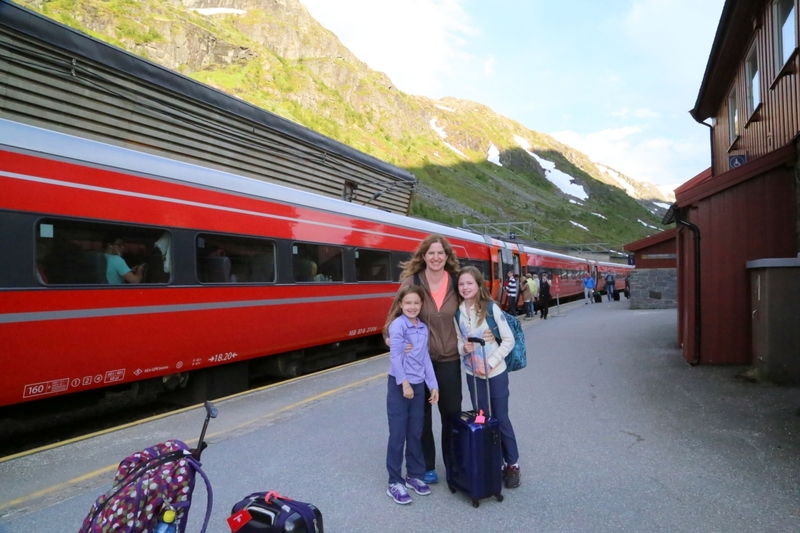 We found our hotel – the historic Fretheim Hotel – a few steps away from the train platform. 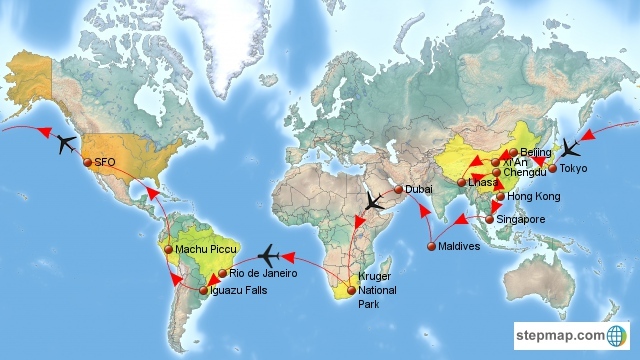 Tomorrow, we have a day of sightseeing and tour the area.